Fabric Vs. Leather Sofas – Which One Should You Choose? Leather sofas are distinctive and create a timeless look that’s difficult to replicate using other materials. It’sa great option for homes where allergies are a concern, as it doesn’t cling to irritants like pollen, dander and dust mites the way conventional fabrics do. It doesn’t easily absorb spills and messes, and nothing more than a wipe with a gentle cleaner is required to keep it clean. This makes it a great choice for homes with children and animals. The biggest drawback of leather sofas is that it costs more than fabric sofas, and while leather is easy to clean, should the material sustain a cut or tear it will be more challenging to fix, as most leather couches are attached and sewn to their bases. You will also need to consider temperatures, as many find that leather can be unpleasantly sticky in summer or uncomfortably cold in winter. Any print, colour and pattern you can imagine can be found in a fabric sofa. And should you get bored of your current selection, most come with detachable covers that are easy to swap out, which comes in handy when cleaning or replacing a cover. The fabric is very comfortable and inviting, no matter what the weather is like, and seeing as it’s a more common choice, it’s also more affordable. 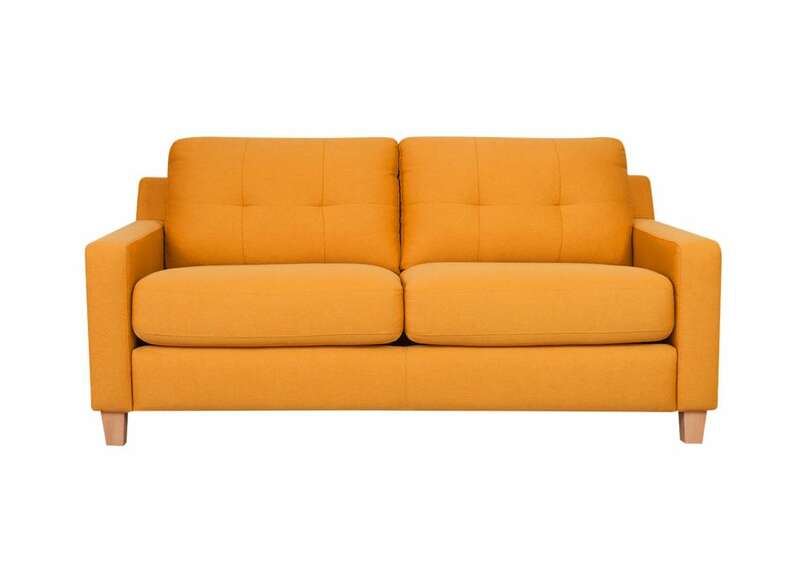 Stains and messes on a fabric sofa can cause permanent damage if not attended to immediately, and cleaning serious messes will involve intensive scrubbing. In addition, most fabric surfaces are permeable, and can therefore absorb odours, dirt and dust more easily. Every home is different, and by knowing what leather and fabric sofas bring to the table, you’ll be in a better position to make the right choice for your needs. If you’d like more information about our sofas and lounges, get in touch with us today or visit your nearest Furniture Galore store.